In 2014, we reviewed one of the more unique recordings that had come across the AMN desk in quite a while. And the irony is that it was an album of cover tunes. Two years later, here we are addressing its follow-up offering. Brownout is a 9-piece heavy Latin funk band with a penchant for Black Sabbath. On their previous Sabbath tribute, they focused on classic tunes from Ozzy and company’s first two albums. Here, they are more oriented on later material, namely from Master of Reality, Vol. 4, Sabbath Bloody Sabbath, and the like. Nonetheless, two tracks from Paranoid (Fairies Wear Boots and Electric Funeral) are featured as well. The modus operandi across these eight songs is to provide the trademark riffing with the distortion cranked up to overdrive. Accompanying this is a brass section either paralleling the guitar lines or complementing them. The rhythm section includes bongos and adds to the dense, thick vibe. Various guest vocalists appear on different pieces, some of whom mimic Ozzy quite well, while others don’t even make the attempt. And that is the beauty of Brownout. These arrangements put a singular mark on the Sabbath oeuvre. At some point, you might not realize, or even care, that you are listening to covers. High points include the martial rhythms and staccato horns punctuating the intro and main riff to Children of the Grave, the unrelenting instrumental power and bongo break of Supernaut, and the retro-lounge chorus in Sabbath Bloody Sabbath. 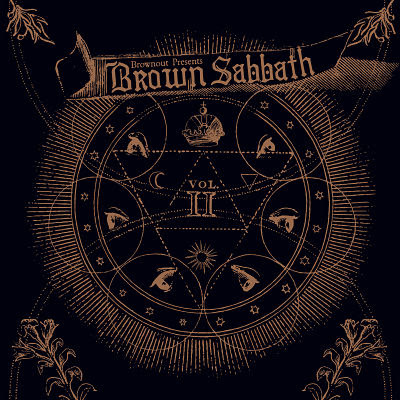 If you grew up listening to Sabbath and can’t get enough of the 1970-75 period, don’t hesitate to try Brownout – either set of covers. They have managed to add both soul and joy to some rather dark subject matter. The album is released on October 28. In the mean time, you can stream Fairies Wear Boots on NPR.